Your audience is on social media. We’re pretty certain of that. What we don’t yet know is where they are on social media. What platform, or platforms, are they using? Which do they engage on the most? On which are they likely to interact with your brand? That’s what we’re here to discuss. You may think you know your audience down to the last detail, but if you’re out even slightly, you could be missing out on a lot of opportunities. Don’t let that happen. Let’s quickly get this one out of the way. If you’re B2B, your audience is on Linkedin. Linkedin is what people use to manage the professional side of their life. Their career, their relationships with colleagues, clients and suppliers. When your audience is sat in the office, they’re far more likely to be using Linkedin than Facebook (at least, they should be) – so you can target them whilst they’re in work-mode. This doesn’t mean your audience isn’t also on other platforms. But Linkedin should be your primary focus. Establish what your customer looks like. Where do they fit demographically? What stage are they at in their career? What are their likes and dislikes? You might already have something like this. If not, there are a couple of ways to get it. The first is simple. Send a quick (or detailed, if you prefer) survey out to your customers, asking them relevant questions that will help you understand what they’re all about. After that, you can use Google Analytics to get demographics data of the people who visit your website. Social media channels also have demographic data. If you have a good following on one platform in particular, it could be worth checking this. Once you have that information, check out Statista to see which platform your demographic is using. It has all sorts of useful data. For example, this chart shows the most popular platforms (in the UK) by age. If you have a competitor doing particularly well on social media, see what channels they’re using, and copy them. It’s not really cheating. They’d do the same to you. Obviously this only works if you know your audience is the same, or at least similar. If they have a strategy and it’s working, you can safely assume they’ve already done the necessary research. We wouldn’t recommend only doing this. You should absolutely analyse your audience data to get an idea of who they are. This is just for added clarity, and to see if you’re missing out on any opportunities. What Type of Content Do You Produce? The type of web content your audience looks for will help determine which social media channels you should be using. If they’re after photographs – then Instagram, Pinterest, and Facebook should be your primary focus. However, if your audience is more video-focused, then building up your YouTube channel would make more sense. Written content mainly gets engagements on Facebook, Twitter, and even Reddit. If you’re trying to post long-form content on Instagram, then you’re going in completely the wrong direction. It’s all common sense, really. But worth thinking about nonetheless. 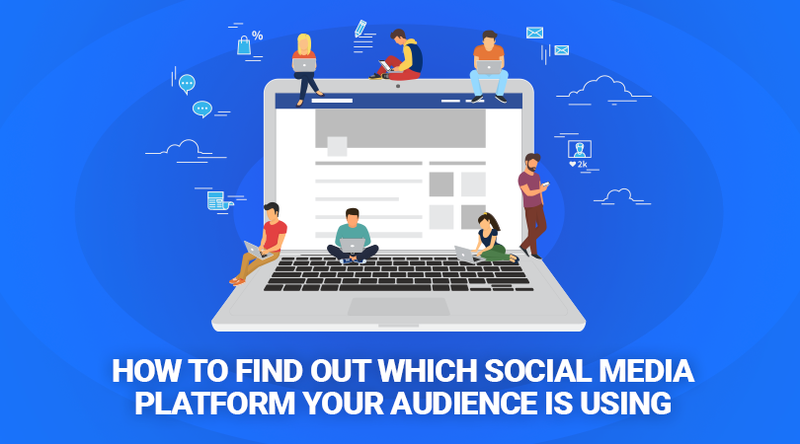 Once you’ve determined where your audience is, you can begin to focus resources on those particular platforms. And My Social Agency can help with that. Our social media campaigns are designed to build your brand awareness and drive leads to your website. Interested?